You are at:Home»Posts Tagged "“col de port”"
I am in the Pyrénées mountains for the first time ever. 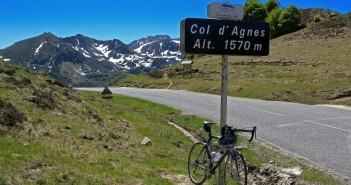 For the first ride, I cycled the last two big climbs that will be included in stage 8 of the upcoming 2009 Tour de France – Col de Port and Col d’Agnes. Paradise.